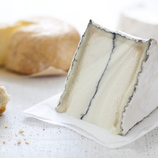 Based in New York, the Essex Street Cheese Company is dedicated to sourcing impeccable wheels of classic European cheeses and bringing them to the United States. In addition to Manchego, Parmigiano and a handful of Goudas, Essex sources Comté aged at the Fort St. Antoine in France's Jura Mountains. 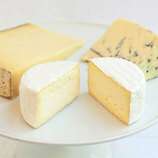 These massive rounds of cheese (weighing in at approximately 80 pounds) are made from the raw milk of Montbeliard cows, according to AOC regulations. They start off as curds the size of hazelnuts which are cooked and then pressed, creating Comté's characteristically firm texture. 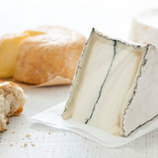 The wheels are then salted periodically in the following weeks before being transferred to the cavernous aging facility where they are aged under the care of a master affineur. 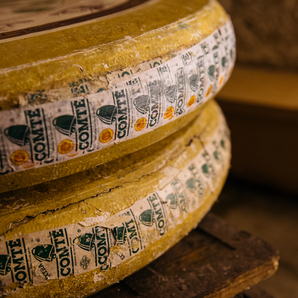 This Comté, typically aged just over a year, is profoundly rich with an intoxicatingly long finish. The color of the paste fluctuates with the seasons, varying from a brilliant ivory to a deep yellow, yet its texture remains toothsome and dense regardless of the time of year. Its flavors range from baked, buttered potatoes to roasted hazelnuts to the occasional burst of green onions and sweet cream. 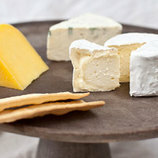 Farm / Company: Essex Street Cheese Co.